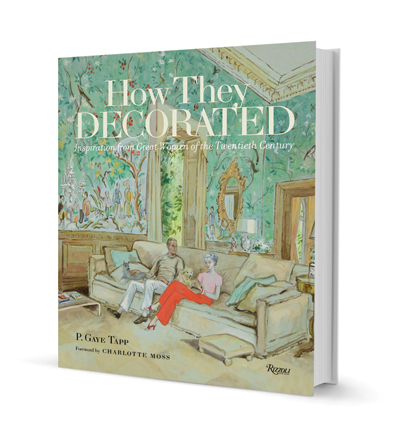 Gloria Vanderbilt cleverly noted, “Decorating is autobiography.” Reflecting that truism, the exquisite interiors featured in “How They Decorated” capture the individual approaches of such 20-century style icons as Bunny Mellon, Hélène Rochas, Vanessa Bell and Georgia O’Keeffe. Author P. Gaye Tapp analyzes each of her subjects’ refined way of living, how she embellished her residences and the long-lasting effects on today’s generation of designers and connoisseurs of beauty. Say hello to spring with colorful stationery. Grove Street Press’ new Ginger Jar collection includes letterpress greeting cards, thank-you cards, monogrammed notes and envelope liners featuring the perennially-chic Chinoiserie vessel patterns in a classic color combo of sapphire and white. Grove Street Press, 521 Saint Joseph St., 281-4575, grovestreetpress.com. Combining geodes, oyster shells, iron and brass with salvaged gilt wood fragments recovered from centuries-old French and Italian antiques, Jackson-based artist Abby Price is piecing together history by repurposing remnants of the past into chic, contemporary art for the home. Her tabletop sculpture mounted on reclaimed marble leans toward the rustic side while her collages framed in Lucite are streamlined and sleek. Kathy Slater Interiors & Design Collection, 3901 Magazine St., 400-9032 or nancypriceinteriors.com. The cool, contemporary design and classic comfort of the “Lust” chaise lounge makes it simply irresistible. One of four new releases from Lisbon-based couture furniture company Memoir, Lust’s clean-lined frame and brass finish taunt the pure white velvet upholstery tightly woven to resemble traditional white wicker. Memoir, memoir.pt. The holidays may be long gone, but ‘tis still the season for pretty packages. The Four Seasons match box collection brings candle lighting to a whole new level. Colorful and whimsical, each box depicts artful images evocative of spring, summer, winter and fall and contains 60 color-coordinated matches. Rosy Rings, rosyrings.com. Maybe Rome wasn’t built in a day, but an Old World patina can be with Portola’s Roman Clay. This decorative, low-VOC, gypsum-based plaster lends walls and other flat surfaces the color and depth of rustic stone or aged stucco. Its modeling marble-like effect is comparable to Venetian plasters but with a more subtle, organic appeal. portolapaints.com. Look your best at the fest with a colorful, durable carryall. Made from bold ikats and exotic embroidered Suzanis woven on special looms, the 100 percent silk totes and shoulder bags are artisan-made in Central Asia exclusively for NOLA Rugs. NOLA Rugs, 3944 Magazine St., 891-3304 or nolarugs.com. Though it’s pronounced the way New Orleanians say “praline,” this French handmade “prasline” is nothing at all like it’s Creole cousin. Created by Chef Clement Jaluzot in 1636 under Louis XIII, the Prasline de Montargis is a sweet treat consisting of toasted almond in a rich caramelized candy shell. The secret recipe has remained the same for centuries and is still made in the chef’s native town of Montargis today. La Riviere Confiserie, 3719 Magazine St., 891-1026, lariviereconfiserie.com.